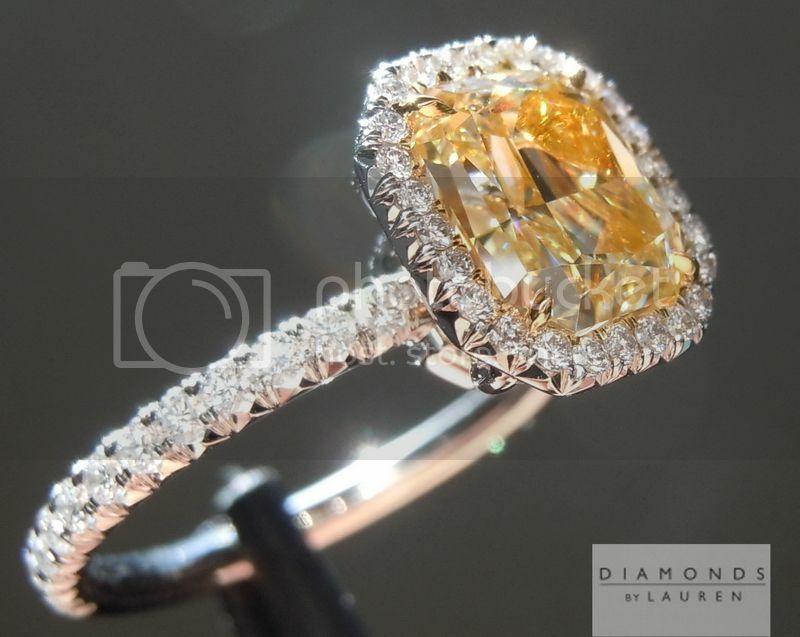 This is a sweet deal. 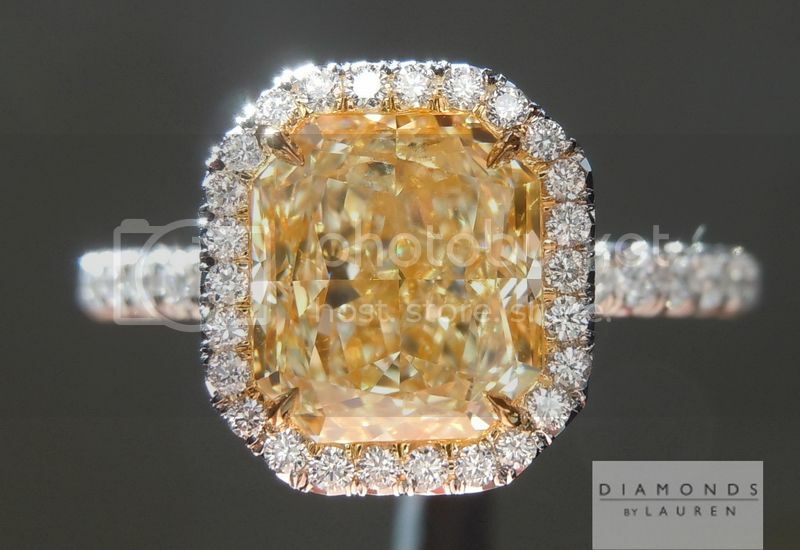 VVS2 clarity, Y-Z with a very sweet "Matchbook" Radiant Cut Shape. 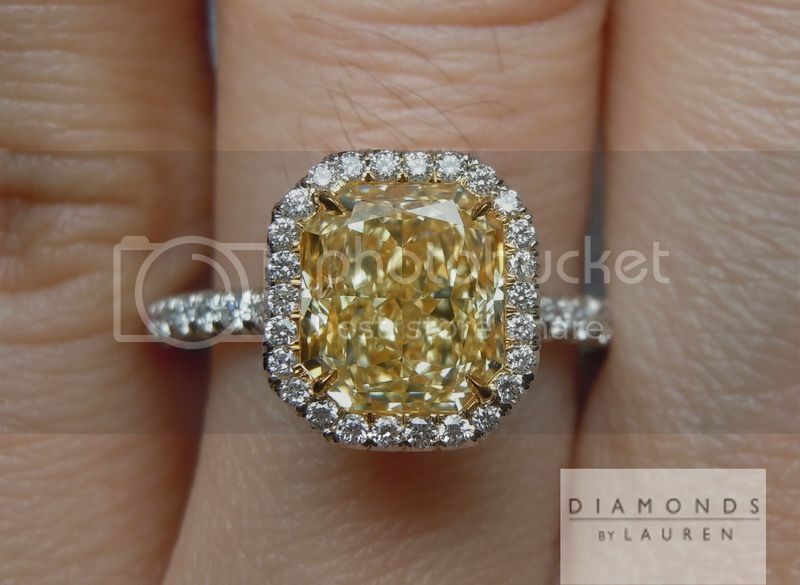 The stone is so close to Fancy Light Yellow it's not even funny - yet it is at least $2500 less costly, if not more. 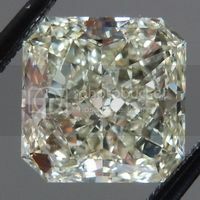 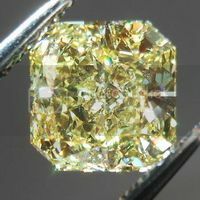 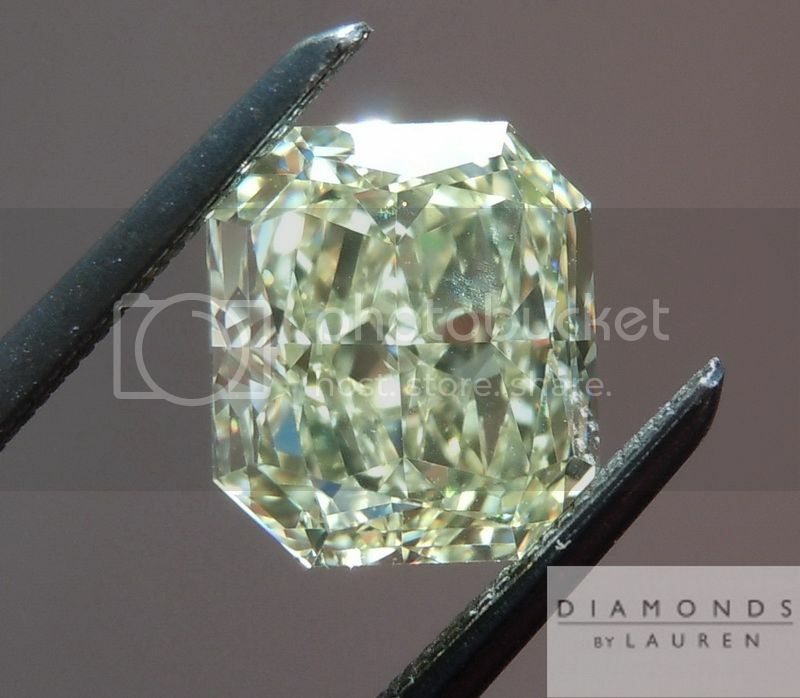 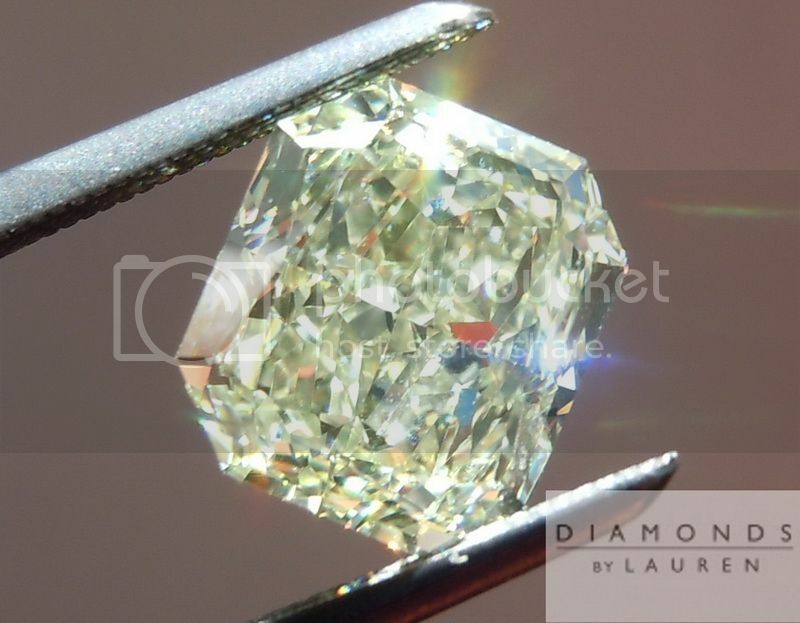 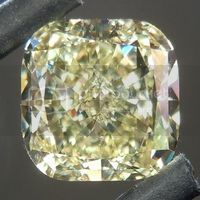 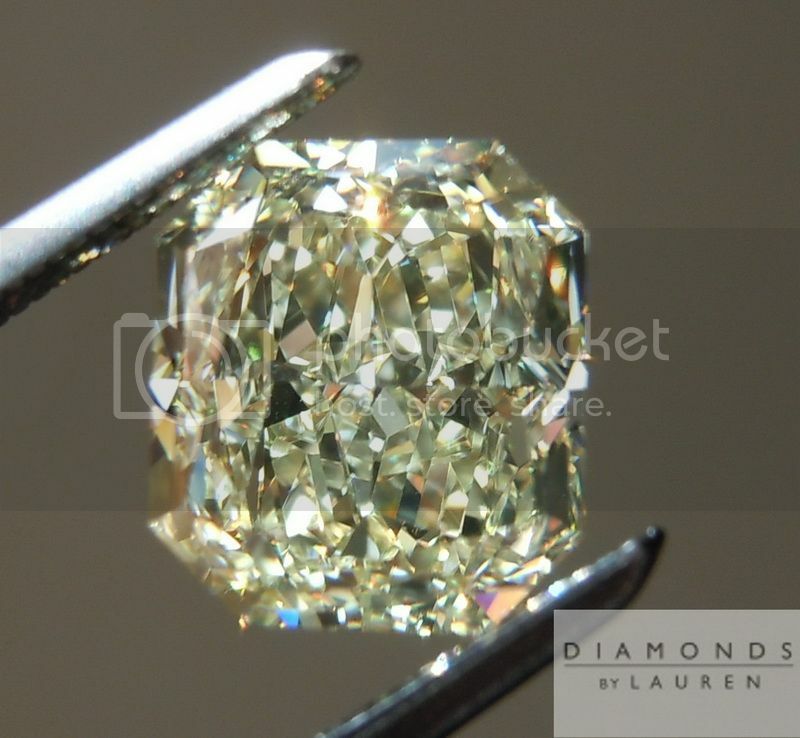 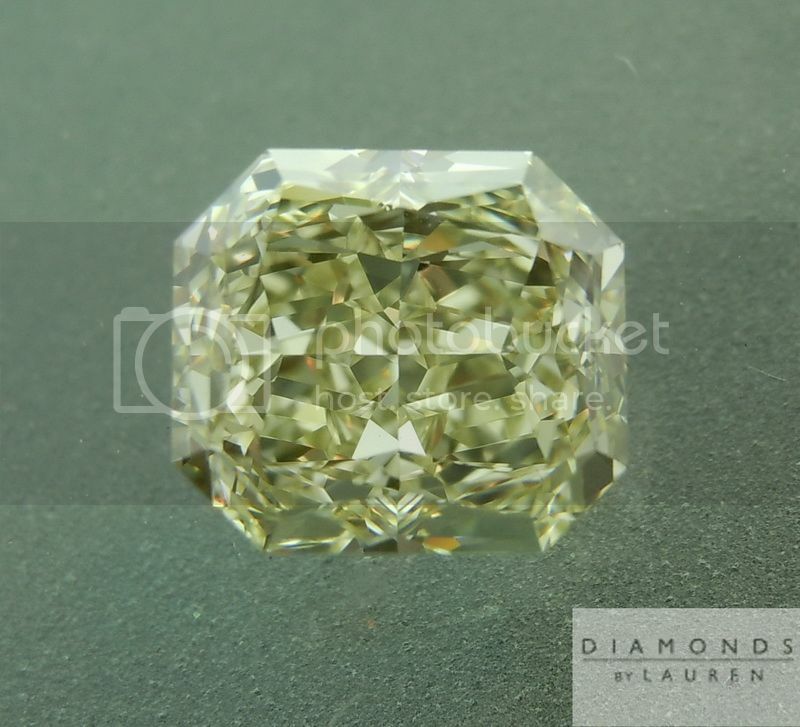 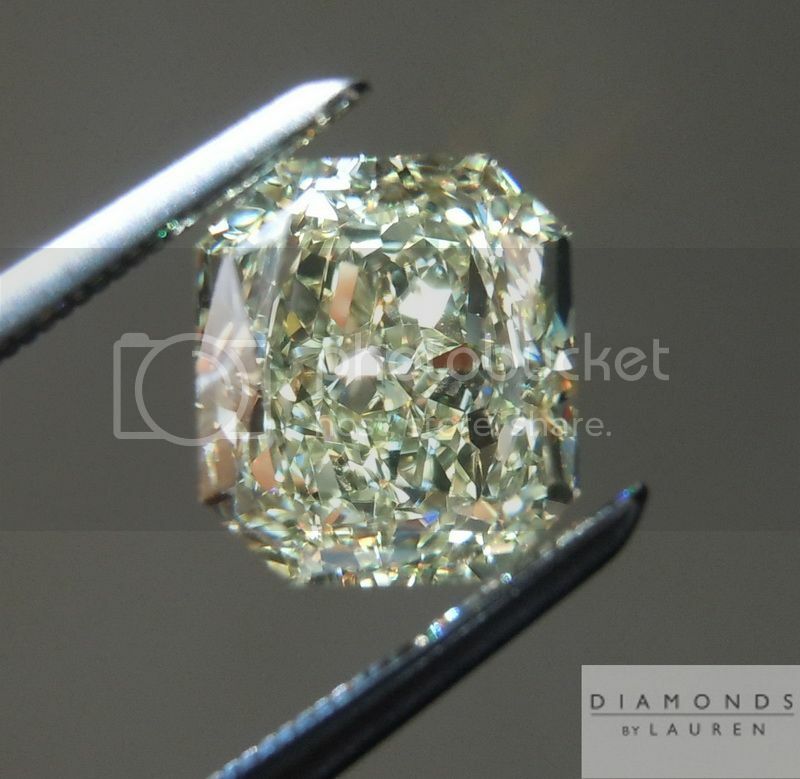 The cut is truly remarkable for a Fancy Colored Diamond, which it definitely is. 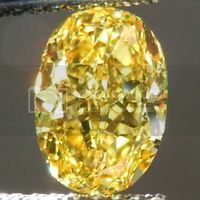 Great size for the weight - and edge to edge yellow sparkle. 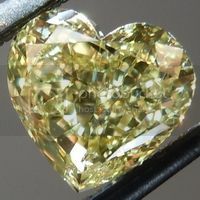 Lovely pedgree with the VVS clarty, VG/EX Polish and Symmetry. 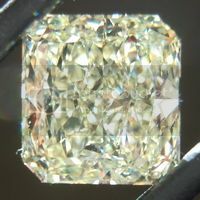 No Fluorescence. 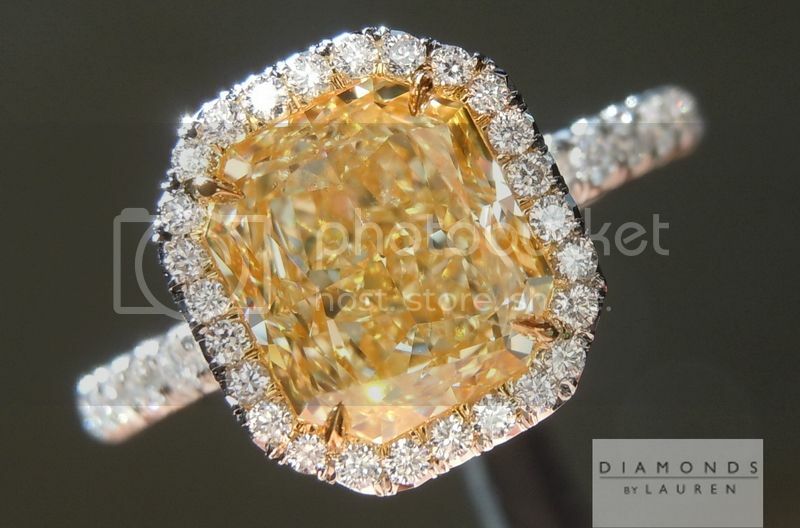 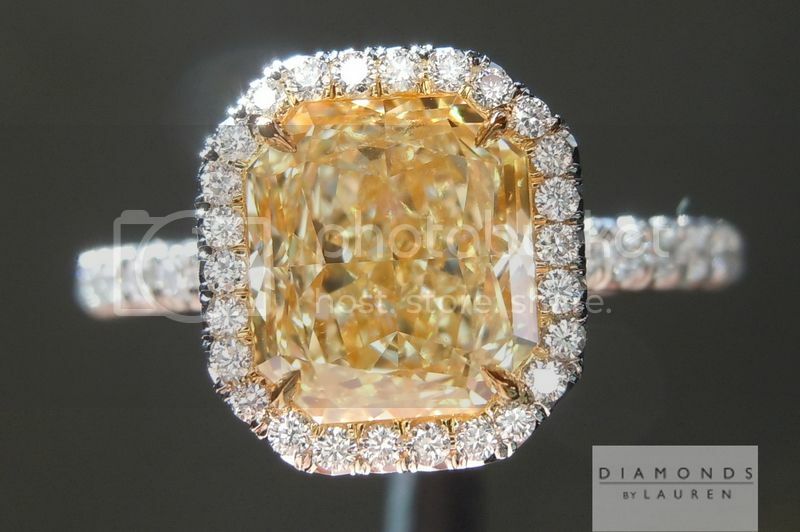 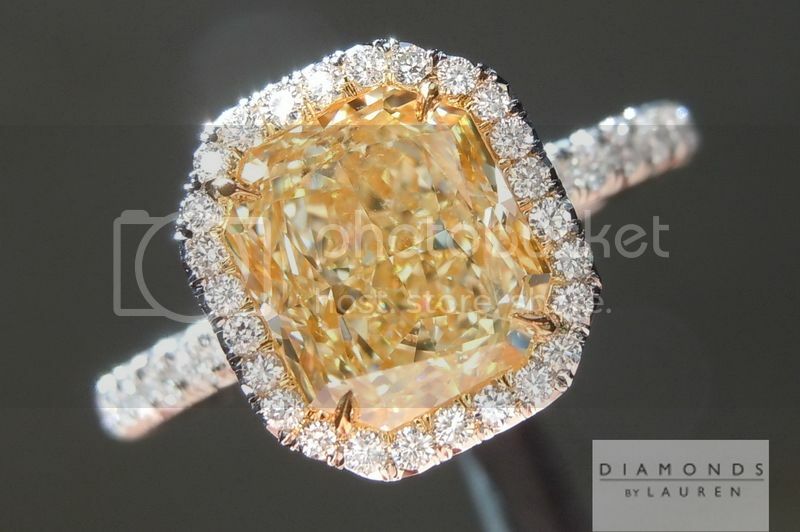 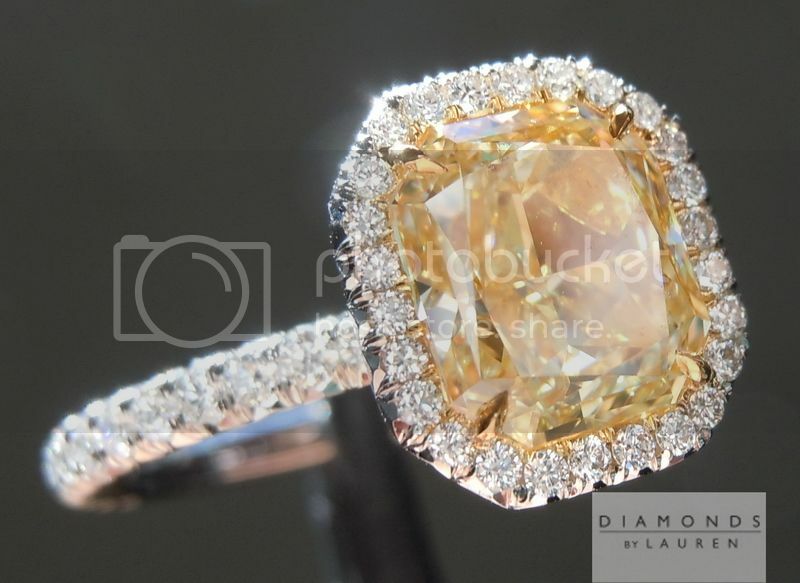 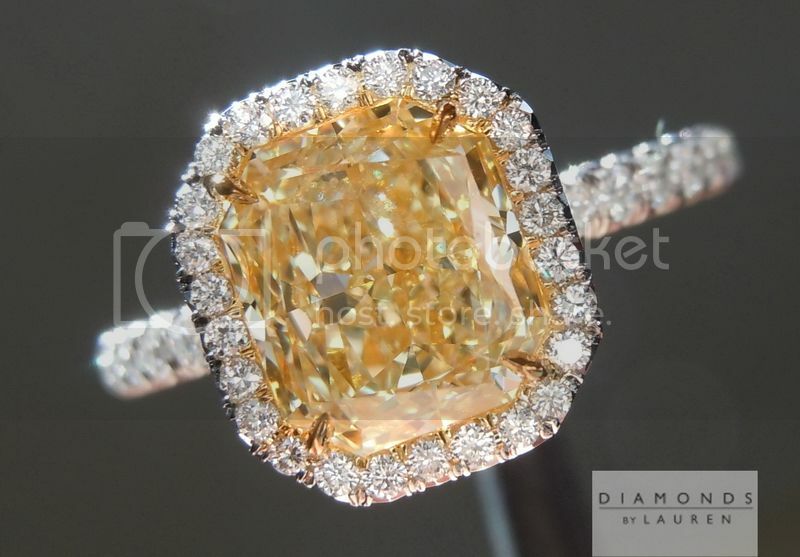 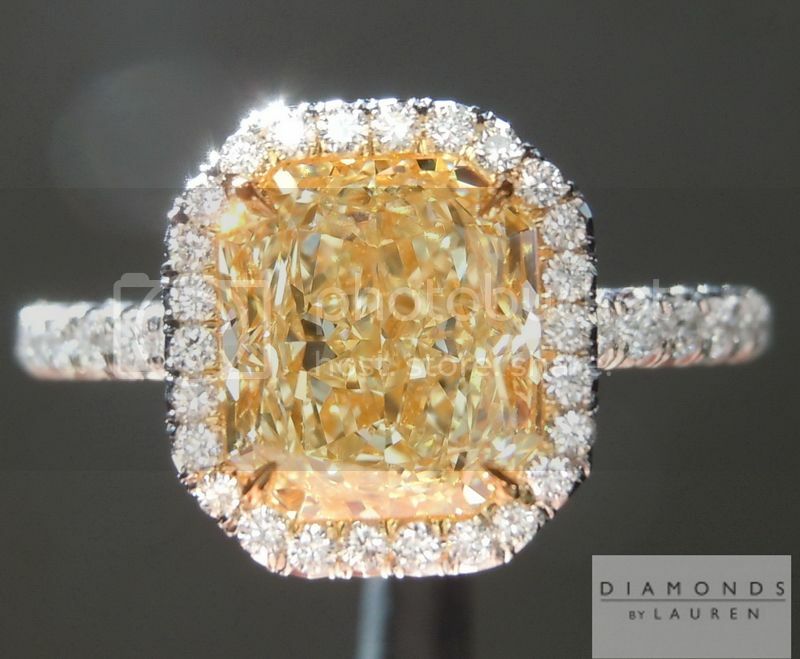 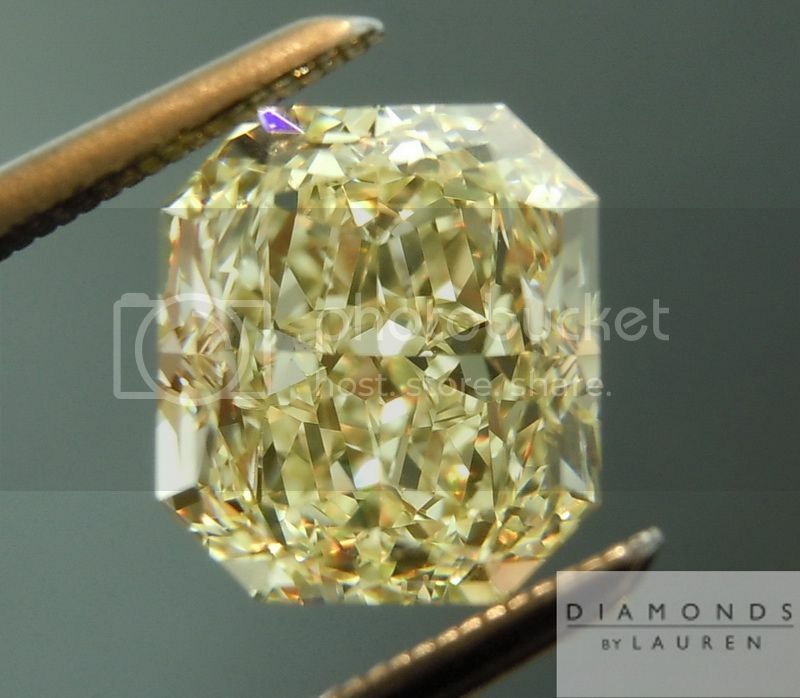 We start out with a sparkling lovely lemon yellow stone, then we set her in our "Uber" halo - specifically designed to naturally compliment the color of the diamond - in the most stylish of manner. 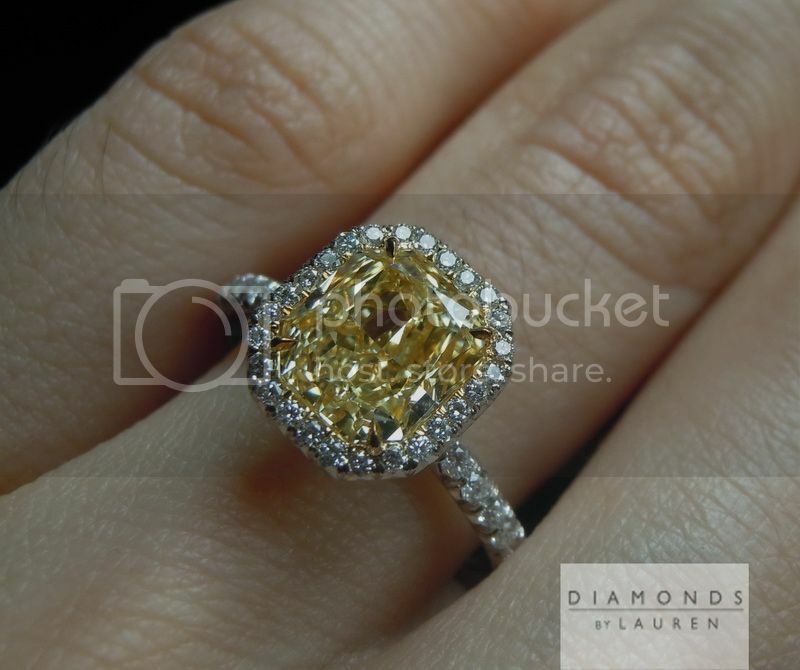 We tailor each and every ring specifically to the stone. 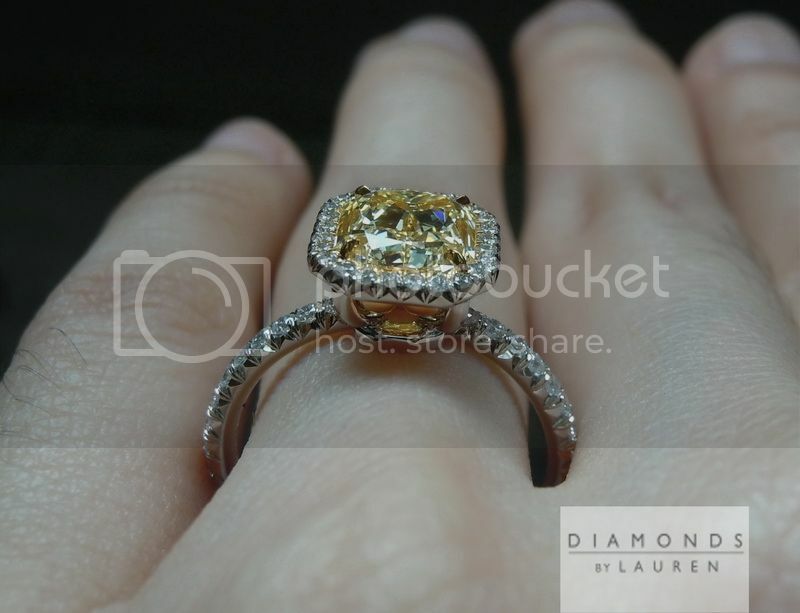 Notice the curve of the struts supporting the halo. 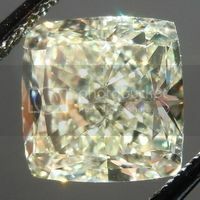 They get the stone to the desired height- slightly higher than as low as possible. 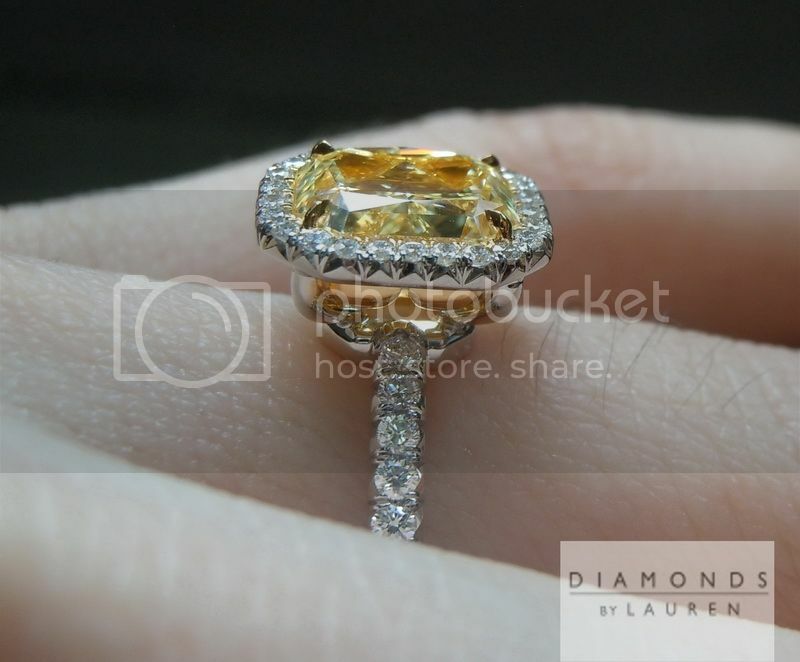 The ring has such a lovely side view.